Emory College alum Daniel Wechsler and colleague George Koppelman acquired this book, published in 1580, on eBay in 2008. This is the story of how two learned booksellers arrived at an audacious theory: They had acquired Shakespeare’s dictionary. 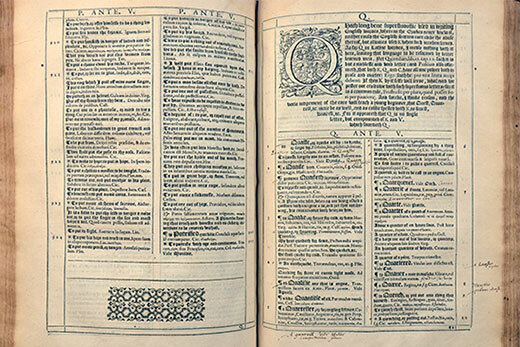 After years of careful study, they presented their conclusion and the evidence behind it in "Shakespeare’s Beehive: An Annotated Elizabethan Dictionary Comes to Light," recently released in a revised and expanded second edition. Not surprisingly, their theory has created a stir among scholars of Shakespeare, and the ensuing drama continues to unfold.